Join thousands of educators, students, writers, and journalists who use our service every day. Our experience, algorithms, and databases will help you forget about plagiarism-related issues. We are piloting it for the School of ICT, IBTE. We've chosen the modules and appropriate assignments/assessment which involve course work to apply PlagiarismCheck.org software. Our instructors and students find it very handy to use this. Our staff is using it before submitting any important document or paper. So far, we found no difficulty in using this user-friendly software. All of us were extremely comfortable with the software as it served what it supposed to be - checking for plagiarism. The plagiarism checker enabled us to minimize the academic dishonesty. Previously, students would just ‘copy and paste’ from anywhere, they seldom cite and provide proper references in their assignments. We are hoping, and noticeable immediately, that after using the plagiarism checker, that the students are now much more aware of these issues and hence, academic dishonesty could be avoided, if not totally. We started using PlagiarismCheck.org. The girls have found it easy to use. I enjoy the fact that teachers can create folders and pupils can submit their work to the teachers folder. I had a pupil whose plagiarism percentage was too high. PlagiarismCheck.org enabled me to click on the highlighted plagiarized sentence and go straight to the site. PlagiarismCheck.org is very time saving and easy to navigate tool due to user friendly account interface. At present we are using similarity detection for student’s thesis, as it is useful to protect illegal use of research work. The features we enjoy are: creating folders, searching for reports and authors, reviewing word count and member details. Faculty members are confident with the quality output of their research article now. The output format is really appreciable. PlagiarismCheck.org supports and promotes academic integrity, struggling with any kinds of duplications in student writings and therefore enhancing the quality of education. Similarity detection software strengthens image of your institution, by ensuring originality of student’s work and protecting academic honesty. With our plagiarism checker, educators help students develop critical and original thinking as well as improve their writing skills. Institutions use it to cut down on a high level of plagiarized works, manage an educational process and their reputation in the academic world, and debunk that biased understanding of plagiarism most students still have. PlagiarismCheck.org is a flexible software that can be set up to meet institutional needs. Focused on improving technologies, we develop sophisticated algorithms to save your time. Intuitive interface and integrations will get your staff comfortable using the software in no time. 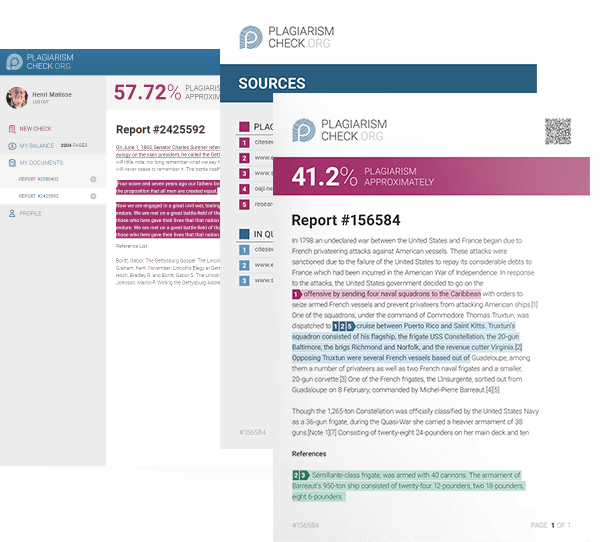 Our tool automates the check for plagiarism to simplify assessment process and provide detailed reports with highlighted plagiarized parts along with sources of plagiarism. 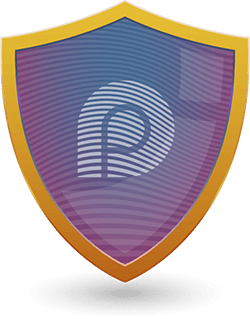 Our algorithms allow detecting hidden plagiarism in academic works for you to evade problems with reputation and enhance the quality of education in your college.